Hi. It’s Lois at Recipe Idea Shop, telling you about our New Old-Fashioned Mac & Cheese recipe. 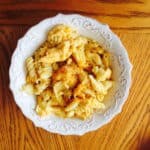 Macaroni & Cheese has always been a comfort food in our family, even though many of us now know we are allergic to cheese. I sure wish I could eat it! I made some today for a family that is grieving a family member’s loss. 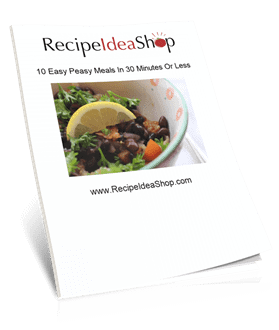 It’s one of my “go to” recipes to take to friends when they need support. 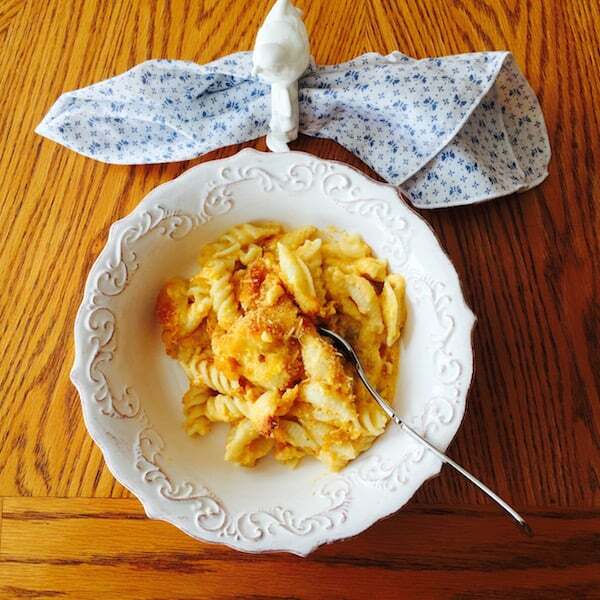 This New Old-Fashioned Mac & Cheese, which is a Moosewood Restaurant recipe, contains three different cheeses, milk and that crowd-pleaser, pasta. Kids love it. Adults love it. This recipe is the best mac & cheese recipe you’re ever gonna find. Really. It’s that good. Everyone I give it to raves about it. When our daughter Roni got married, Don made this delicious New Old-Fashioned Mac & Cheese (for 80 people!) to supplement the caterer’s food. He did a fabulous job, too. What a guy! Add a Green Bean Tomato Salad as a side dish to prevent you from eating too much of this amazing comfort food. I used my food processor, knives, cheese grater, measuring cups and spoons, pans, and a baking dish. What would you use? The best mac & cheese you're ever gonna eat. Spray a 9" baking dish with baking spray (Pam is a good one). In a blender or a food processor, grate the onion (fine). Add the cheeses, milk and spices and puree until smooth. In a large bowl, combine this pureed mixture with the macaroni. In a separate bowl, mix the remaining Parmesan cheese and the bread crumbs. Sprinkle bread crumb mixture over the top of the macaroni. Bake for 45 minutes or until the top is brown and the center is firm. New Old-Fashioned Mac & Cheese Nutrition Label. Each serving is about 1 cup. 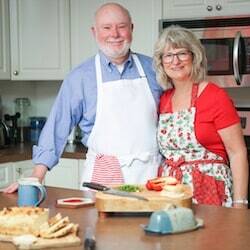 Love the pictures, Lois — both of the mac & cheese and of you with your cup of coffee. The comments box is showing up here, so I’m just letting you know that I’m saving this recipe to use the next time I need to take some “comfort food” to someone. Thank you. I’m also adding the “www” to my URL to see if the keeps you from getting messages about a broken link. Thank you, Elizabeth. You are really going to love the mac and cheese.